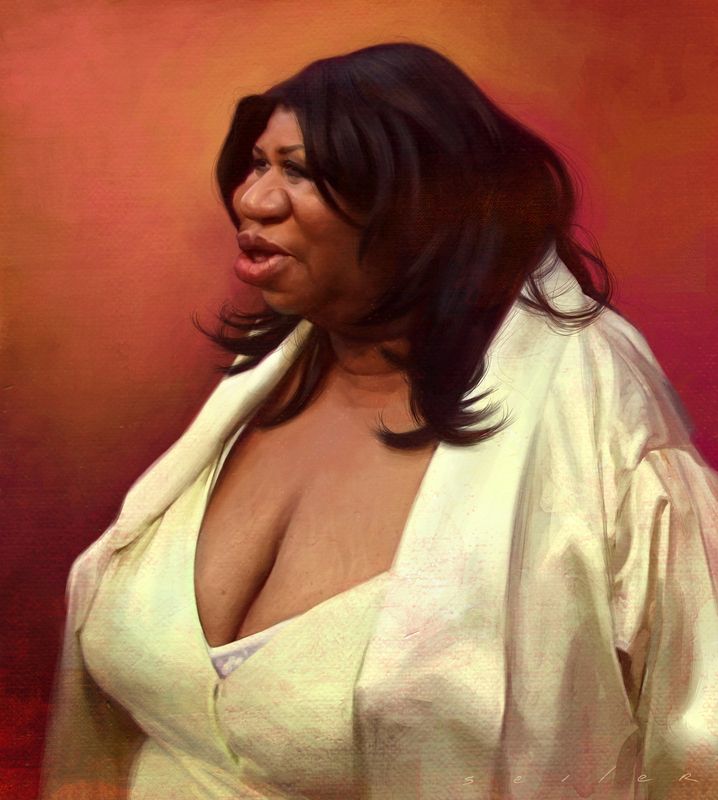 I did this painting of Aretha as a step by step demonstration for 3D Total Magazine. My intentions were to not capture the "typical" Aretha that we all know. The loud belting it out Aretha. Instead I was more interested in capturing the sluggish pose that I often see . . . the shape and form were hard to resist, there's so much character in her pose.